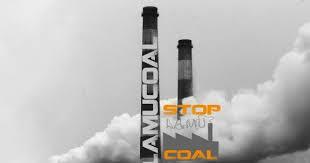 Oakland, California—July 18, 2018— A group of 56 institutional and individual investors representing nearly $713 billion in AUM sent a letter to General Electric (GE) today calling on the company to reconsider its recent decision to acquire a 20% stake in Kenya’s proposed Lamu coal plant. Lamu is one of Kenya’s top tourist destinations and home to an UNESCO World Heritage Site. The proposed coal plant faces fierce opposition, both locally and internationally. As You Sow and Proxy Impact are leading U.S. and European investors in calling for GE to avoid this detrimental project. As You Sow is a nonprofit organization that promotes environmental and social corporate responsibility through shareholder advocacy, coalition building and innovative legal strategies. See our resolutions here. Proxy Impact provides shareholder engagement and environmental, social and governance (ESG) proxy voting services that promote sustainable and responsible business practices. “From my published analysis, the absurdly costly economics of the Lamu coal-fired power plant have been clear for years, and so the announcement that major institutional investors with over US $700 billion under management have urged GE, and GE has apparently agreed, to reconsider their support and investment in the Lamu coal plant. Background: Professor Dan Kammen and his team developed and published the SWITCH-Kenya model in 2017 using state of the art technical and economic data from East Africa, and have identified a range of clean energy investment opportunities in Kenya that are far cheaper than the Amu Coal fired power plant for Lamu.